There are clear signs of improvement in the Malaysian property market, and it is expected to pick up with more enquiries and investment activities moving into the second half of 2018 and into 2019. This follows the historic conclusion of Malaysia’s 2018 General Election and is further supported by steady growth in the economy with a 4.9 per cent expansion for the first half of 2018 and favourable labour market conditions. In the Kuala Lumpur residential segment, potential buyers and investors are switching from a wait-and-see approach to genuinely seeking for good bargains in the market. 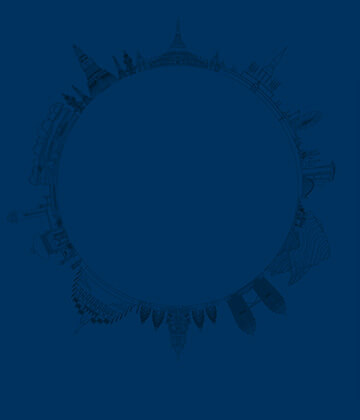 At the same time, developers are now aggressively promoting their products by conducting nation-wide roadshows. Prices and rentals of most high-end condominium and serviced apartment schemes, which are believed to have bottomed out, continued to hold steady during this recent period. 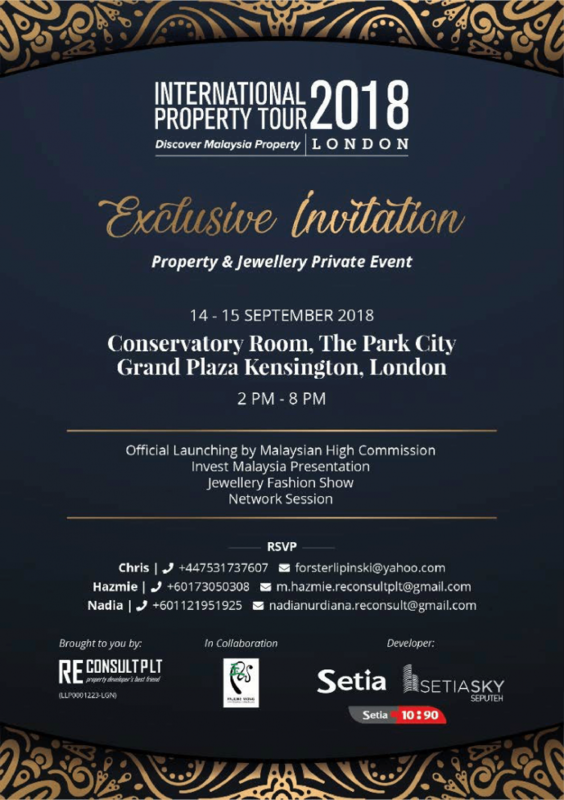 Find your exclusive invitation to this private property and jewellery event in the link below; for more information about the event and instructions for booking your place, please contact one of the organisers below. The event will include an official launching by the Malaysian High Commision, an Invest Malaysia presentation, a fabulous jewellery fashion show later in the afternoon and a networking session to round off the event at approximately 8pm. Please contact Chris on forsterlipinski@yahoo.com / T: +447531 737 607, Hazmie on m.hazmie.reconsultplt@gmail.com / T: +601 7305 0308 and Nadia on nadianurdiana.reconsultplt@gmail.com / T: +601 1219 51925 to book your place on this event.